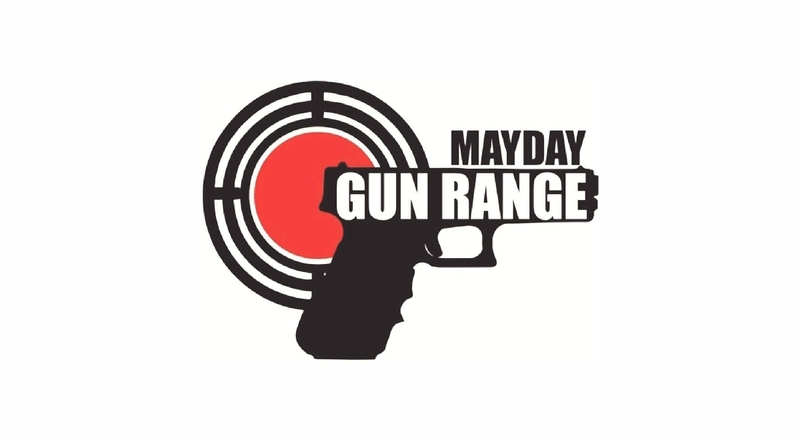 Mayday Gun Range offers classes, instruction and first-class range facilities to Oxford and the surrounding areas. Shoot in comfort on our 25 yard state of the art indoor shooting range. 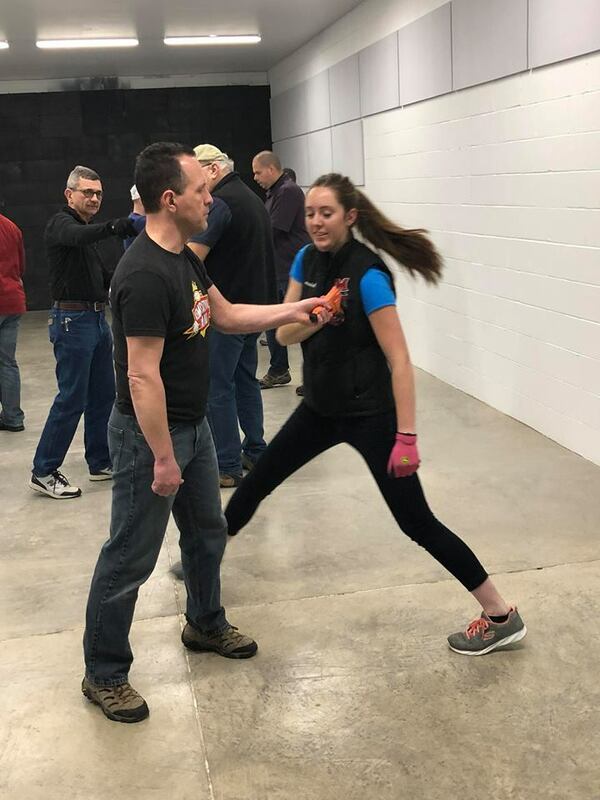 Mayday Gun Range offers specialty classes including CCW, Advanced CCW, Basic Handgun and Defensive Handgun. We also offer individual instruction by NRA certified instructors. 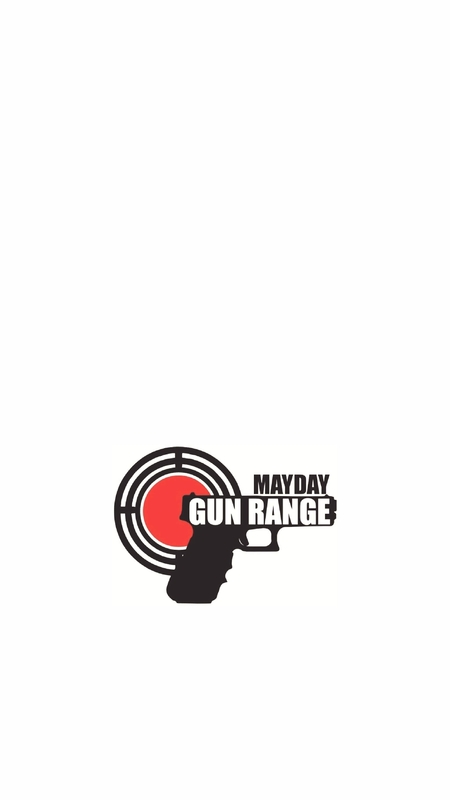 Mayday Gun Range's indoor shooting range is a state of the art facility with two bays of six 25 yard shooting lanes and one private shooting area. Each shooting lane will acommodate two people. You can shoot up to a .308. 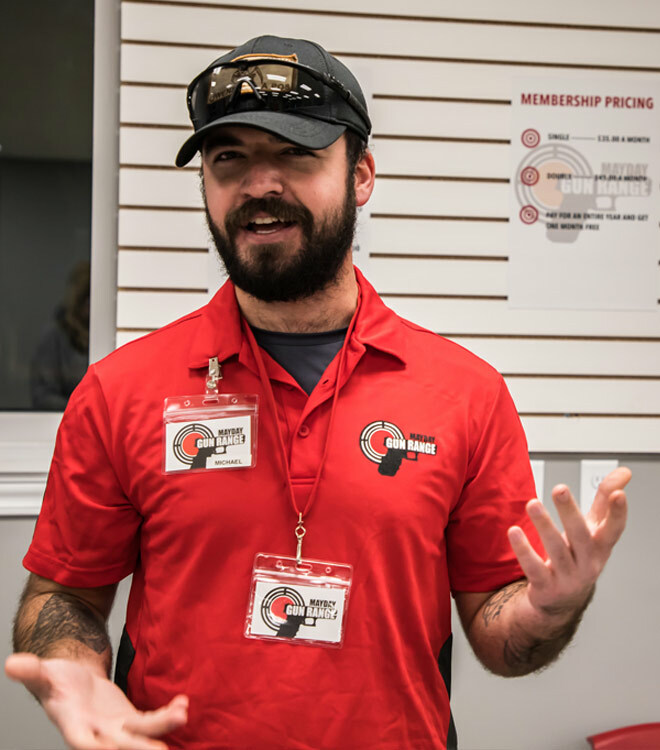 Mayday Gun Range has hour and half hour lane rentals as well as annual memberships with unlimited range access. Rental guns are available for $7.00. * Firearm rental is also available. Ammunition can be purchased on site or you may bring your own. Includes unlimited range access for an individual. Includes unlimited range access for two individuals. * Membership fees can be paid monthly or annually. Memberships paid annually receive 1 month free. Mayday Gun Range was a long-time dream for Jeff & Scarlet Day. The Days are long-time residents of Oxford, Ohio. They have three children, all born in the month of May, hence where the name "Mayday Gun Range" was created. Both are NRA Certified instructors and have an ongoing competition of who is the better shot. They are excited to offer personal, current, and top notch training individually and as a team. 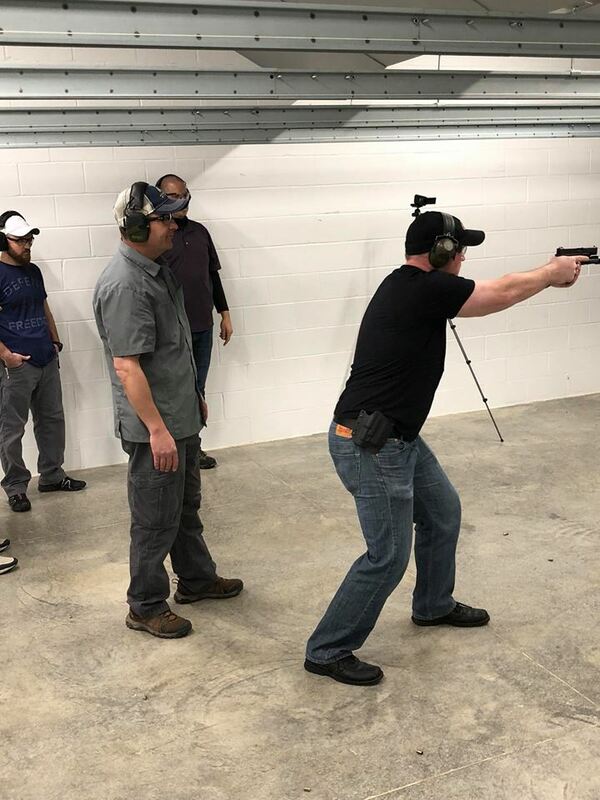 Our dream is to provide a safe, clean and fun place to practice shooting or learn a new skill in the comfort and safety of our wonderful, new facility. Every Monday night is Student Night! Every student receives a free target and Student Night range pricing. Join us for Ladies Night every Wednesday! Every lady receives a free target and Ladies Night range pricing. Grab your better half and join us every Friday for Date Night! Second shooter free in your lane plus a free target. Spend your lunch break at Mayday Gun Range! Monday through Friday, 11:00-2:00 get half-priced range time. Active Duty Military and Law Enforcement shoot free at Mayday Gun Range! Thank you for your service and sacrifice. FREE range time every day. Outstanding instruction. Good common sense street training at a really top tier range!! We visited Mayday Gun Range during their open house and I have to say this is a fantastic facility! 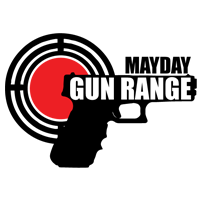 The staff and range officers were helpful and courteous and the ranges themselves are great. Very well lit, well spaced, and well though out. I love it that this is a family-oriented business. The staff went out of their way to make sure our daughter enjoyed her first time at the range. We'll definitely be back! This is the perfect location for our family and a top-notch facility to boot! Looking forward to spending a lot of time at Mayday Gun Range! 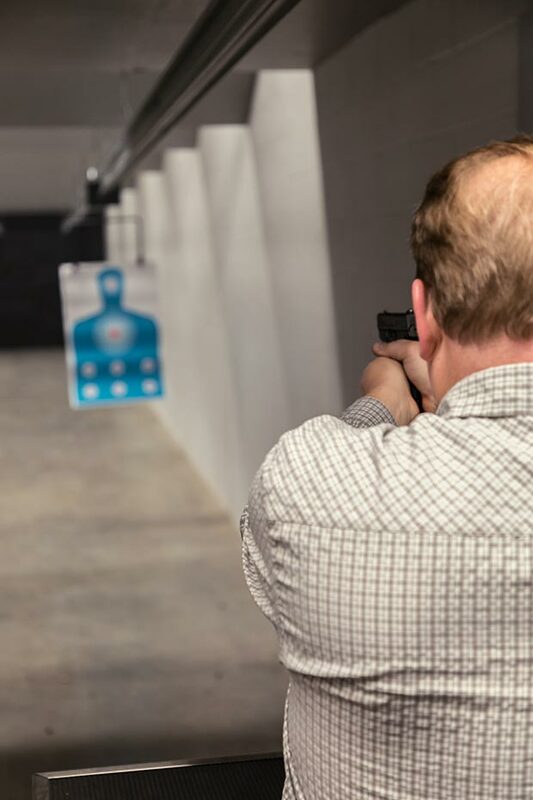 Mayday Gun Range has 2 fully-equipped classrooms available for your training event. Contact us to schedule an event!